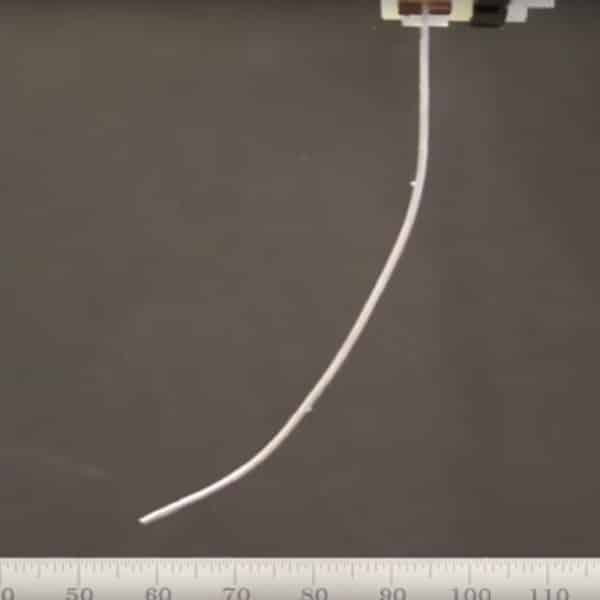 Researchers from Massachusetts Institute of Technology (MIT) have developed a nylon-based artificial muscle system. This all-new system is way cheaper than the existing muscle systems, more sturdy, and is easier to produce. Artificial muscles – which perform just like the real deal with the ability to contract, expand and stretch – have been previously being made from carbon nanotubes or electrically responsive polymers. These muscles however, are fragile and very expensive. With such constraints at hand, a new muscle system capable of at least 100,000 bending cycles was developed. MIT researchers used nylon fiber to create them, and they are already being billed as the next big thing in AI. When manipulated with heat, these fibers act as artificial muscles – they can stretch, expand or bend. The good thing about these fibers is that they’re not picky, meaning that they react the same to all sources of heat: electricity, laser light or chemical reactions. The researchers claim that the bending process can be controlled with varying amounts of heat applied to specific parts of the fiber. The fiber is believed to bend and retract at a minimum 17 cycles per second. With a reduced production cost and more durability, the new muscle system has a plethora of applications. Whether it’s the automobiles or airplanes – where its use was limited due to high production costs – this technology has the potential to make it usable for any number of applications quite effectively. Exosuits or powered exoskeletons can be made using this material, making it more affordable. Robots, medical devices, grippers, and whatnot, the uses of this powerful muscle system are endless. Are superpowers within our reach? Let’s see how it goes! Mr scientist is it possible to create artificial “grey matter” for the brain for Abdul Wahab?